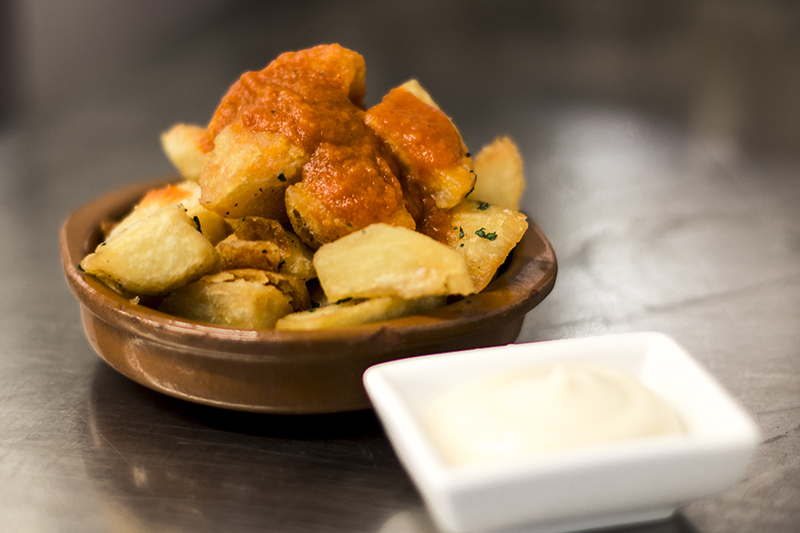 Enjoy Catalan/sourdough bread, two tapas dishes and Spanish pickles for the new price of just £12.95 per person! Add dessert for just £3.50. Available Monday-Friday when dining between 5:30pm and 6:45pm and Saturday 12pm-2:30pm. Book online for free text confirmation or call 0115 754 0576. 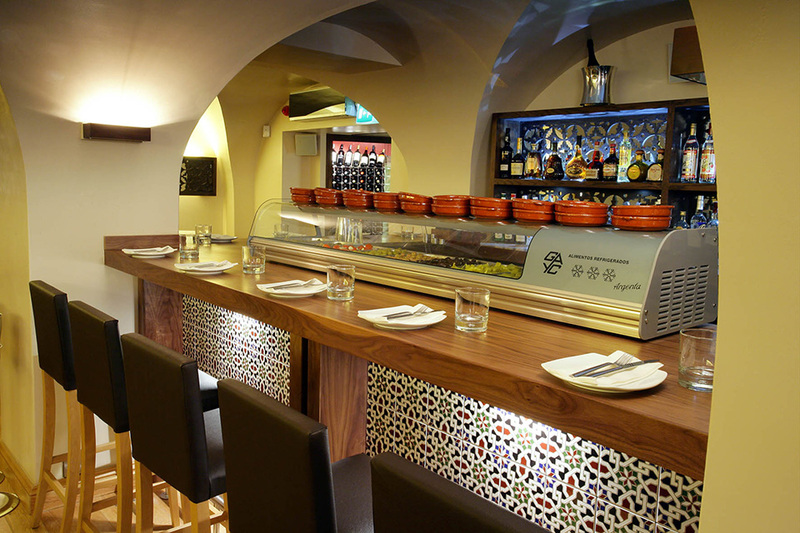 Bring your group meal to Iberico World Tapas, whatever the occasion. 3 courses with dessert for£19.50 or 2 courses without dessert for £16, for groups of eight or more, please book in advance to ensure availability. Please see menu for full booking conditions. (Available on Saturday only) Book online for free text confirmation or call 0115 754 0576. 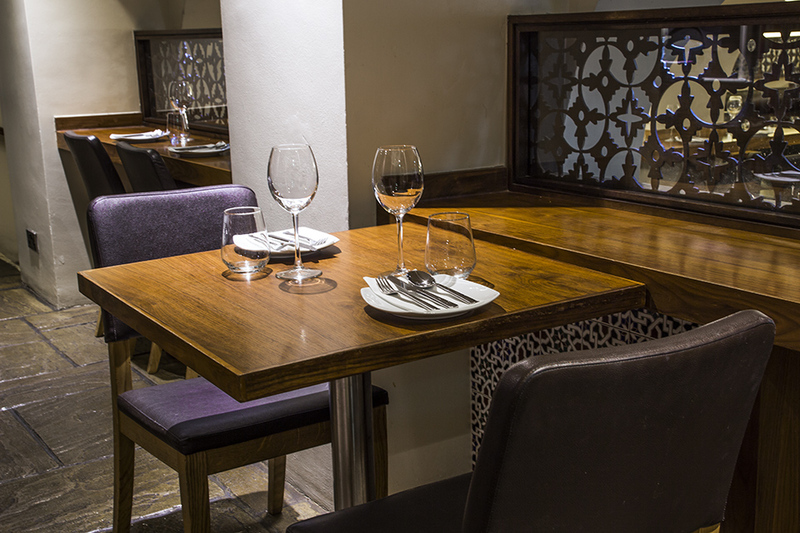 Bring your group meal to Iberico World Tapas, whatever the occasion. 3 Courses for just £29.50 or 2 courses without dessert for just £26, for groups of eight or more during dinner service, please book in advance to ensure availability. Please see menu for full booking conditions. Book online for free text confirmation or call 0115 754 0576. Lovely staff and an interesting menu. Food was delicious and served quickly so perfect for the pre-theatre trip. Vibrant atmosphere and a great selection of food. Lovely tasty food let down by the duck dish and a bit on the privet side for tapas. The best place to have a birthday meal! Best place to have a birthday meal! Lovely meal in very relaxed surroundings. A little bit of something for everyone to try. Service was attentive but not too much. Excellent meal and cannot fault the service we received. Went there with my friend on a Saturday evening. I didnt see any walk ins, reservations only, it was busy. Walked past it twice, Google maps show that Iberico is on the opposite from Galleries of Justice building but actually the restaurant is hiding right next to it. Very delicious food, nice service, pleasing menu, a bit pricey comparing to other busy tapas restaurants, but that's not surprising. Would return, will definitely recommend. Lovely Saturday lunch. The special offer made it affordable. Food and service excellent. Service was excellent, good selection of wines, each dish was served when it was ready and we couldn’t fault any of them. We have eaten here a good few times and the food never disappoints. 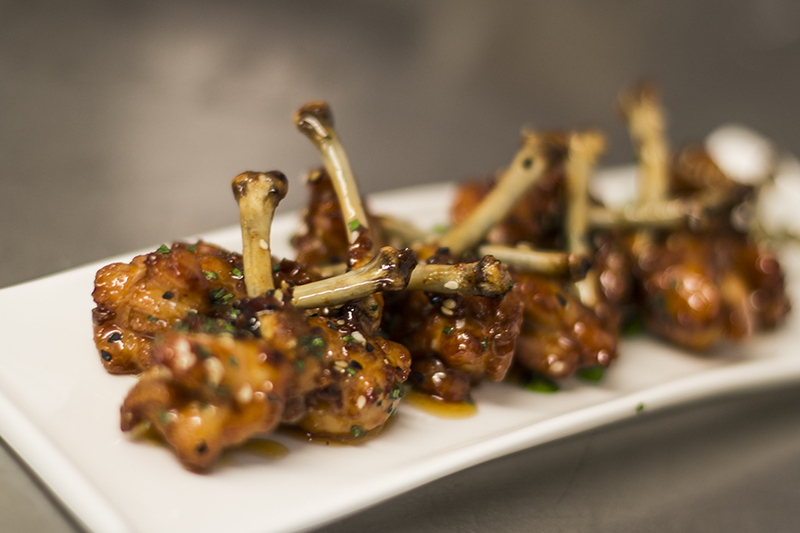 The inside out chicken wings are amazing, as are the beef skewers. We have often got chatting to other diners who also hold the food in high esteem. Overall great value, great atmosphere and food- highly recommended! The entire experience was brilliant but no more than I expected as we have been many times before. . The food is delicious and the service second to none. The surroundings and ambience are a delight hence our not frequent enough visits. 5 star from start to finish including Go dine app. Absolutely brilliant night first time going to iberico and it didn't disappoint. Great good great service will definitely go back again. Amazing food and service as usual! Really enjoyed the food, it was really tasty and fresh, the black cod is the best dish and its absolutely delightful. The restaurant has a lovely vibe and the service is good. I feel it's a little expensive for what you get but saying that I would definitely go back. Lovely atmosphere, good service and nice food. Exceeded expectations with food and service! Excellent service food service, a little noisy next to a large table in the upper area had to raise our voices to hear each other speak ( not great for what was supposed to be a romantic night out) but lovely young waiter Richard made us feel very welcome. Superb as always!!! Tasty food and superb wine! A great dining experience enjoyed by the four of us. Really good tasty food served by very efficient and friendly staff. Very nice food but it is certainly not cheap. Very good service. EVERYTHING WAS LOVELY WE ARRIVED A LITTLE EARLY AS I DONT LIKE TO BE FASHIONABLY LATE BUT WE WERE NOT TAKEN TO OUR TABLE TILL THE RIGHT TIME. FOOD GREAT AND NICE, WAITER VERY PLEASANT. First time at Iberico World tapas, I can safely say it was the best tapas I have ever had. Highly recommend, service was excellent. Having visited Iberico some time ago we decided to relive the experience. We were not disappointed and would recommend this restaurant to all lovers of tapas. Fantastic experience. Took friends who had never been before and they were very appreciative of the surroundings and standard of food. Staff were very pleasant and helpful. The food was stunning as usual. The only drawback was the table which had been built round a pillar which meant 2 of our party were facing a wall. Despite asking to be moved a couple of staff weren't particularly helpful. The person who waited on us for most of the the evening was perfectly lovely. Will definitely go back but will reserve a better table. Excellent food and drink and was such a lovely touch to suprise us with a treat for the Birthday girl - thank you!! Lovely food and very nice staff. 4 of us had an excellent meal pre-theatre. We could not fault a thing. Lovely meal. Early diner is great value! Really enjoyed insideout chicken wings and beef skewers. Service excellent . Overall is a good dining experience. Great table, delicious food and excellent service. It is hard to find a better meal in Nottingham. Iberico is an absolute must try. Every single dish is packed full of flavour. All the recipes are adventurous and fine-tuned to the highest standard. Service is impeccable. The express menu offers amazing value Mon-Fri.
My personal favourite is the venison ossobuco. Good food, excellent service and very quick. Excellent food, value and service! Food came a little too fast but otherwise very good! Enjoyed the meal but we were placed in a very quiet corner away from the rest of the diners. Food was great but I had an upset stomach in the night - not sure if there was a dodgy prawn! We thoroughly enjoyed our meal in lively and pleasant surrounding. The service was attentive but a tad slow. Great tasting lunch menu in a lovely atmosphere with great service and all for a reasonable price. Excellent value pre-theatre meal, and the catalan bread is particularly delicious. A really lovely venue too - very atmospheric. Fantastic as usual. We went at lunch time on a Monday and I was really quiet which was good for us as we had our disalbled mother with us. Service excellent, food amazing! Love this place! Great atmosphere, fantastic food and service! Will definitely be going again. Iberico World Tapas is well regarded in Nottingham and with good reason. 5 of us pitched up on a Monday evening and had a very enjoyable time. To start the meal, some excellent olives were followed by a plate each of the Spanish charcuterie selection and the Spanish cheese selection - interesting and tasty. Sharing the dishes is the name of the game here, which also goes for a wide range of Tapas to follow the starters. Plenty here for meat eaters, fish fans and vegetarians alike. For us, it was, amongst other things, excellent chicken wings, well-flavoured beef skewers, squid, seafood paella, goats cheese and spinach piquillo peppers and, of course, patatas bravas. We didn't have room for desserts! As befits a Spanish restaurant, there is an excellent selection of sherries, ranging from Tio Pepe and a spicy Manzanilla, at the start of the meal to luscious Matusalem or Pedro Ximenes to finish with. In between, you can choose from an interesting and varied wine list. Spain is of course represented, but so are other European wine countries, including France, Italy and Greece as well as the New World. For our white, we chose a 2016 Malagousia Assyrtiko from Greece, spicy and very moreish, followed by a red 2012 Beronia Reserva Rioja. The service was efficient and professional, but also friendly and relaxed. Even on a Monday evening, the restaurant was quite busy, so I would always recommend booking in advance. Absolutely no complaints on any of the above categories. What a wonderful night! Food amazing, service great as usual. Cannot wait to return. Absolutely amazing food. Our entire team (11 people) loved it. Will visit again! Fab food and superb service at Iberico! Amazing food with so much choice. A lovely meal and great service at Iberico. I just love the food, so tasty and the service was great! The food was delicious and choice of wines and spirits was good. There was a really nice chilled out ambiance. I wasn't impressed with a service charge already added for just a 2 person table especially as the staff didn't really do much other than take the order. We weren't even asked if everything was OK or if we would have liked another drink mid way through the meal but other than that it was good and I would go again. The Catalan bread is the perfect carb hit for hungry diners. Best I've had. No matter what you choose, fish is cooked to perfection. 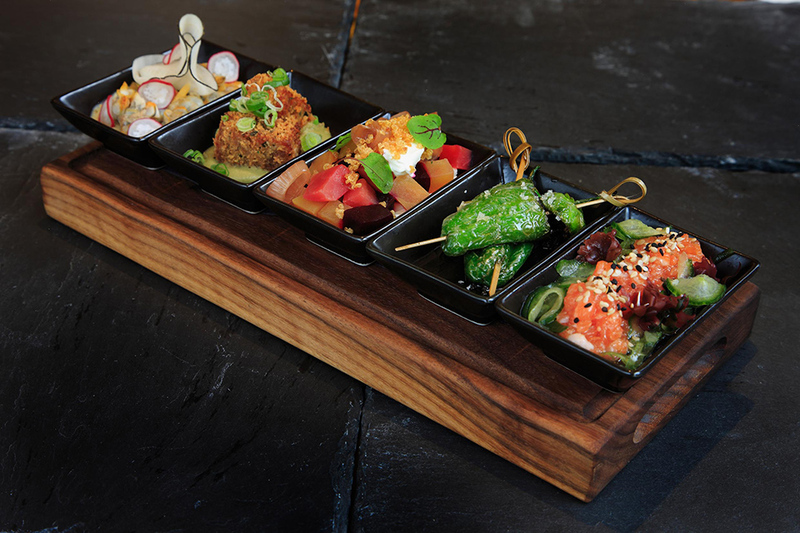 All the tapas dishes are well balanced and fresh tasting in every way. Chase those up with the best churros in Nottingham. Ps. The wine list is worth every penny. Food couldn't be much better, my favourites were the miso salmon and miso black cod. Service was good, one of the wines wasn't to our taste and there were no quibbles about replacing it with a different bottle. A little pricey but worth it. Will return to celebrate a special occasion. We celebrated our daughter's graduation everything was great it was very busy but that didn't hinder the excellent food and service. Will definitely be back as soon as we can. Absolutely fabulous. Staff so attentive. Took my best friend for the first time. She said it was the best tapas she had ever had! Really nice meal, great service! Had really nice evening out! Would defo go here again! Can't fault a thing with it, the food was lovely service was great. Superb selection of very tasty tapas at Iberico along with excellent service - what's not to like! Really good food, great setting and attentive friendly staff. Recommened. Great night out! Would certainly go back to Iberico. The inside out chicken wings were amazing, the rest of the dishes were standard, nothing special. The menu could do with a revamp, it's been the same for a few years now and there isn't a huge choice - especially for a tapas bar. The atmosphere, service and wine selection were all good. Very attentive service and fabulous food at Iberico. Although I enjoyed the food we had there was nothing really exceptional or unusual about it, certainly not to warrant the price. I think the menu is overpriced and some items extremely overpriced (there is a fish dish which is I think around the £15 mark - what you get for this is a couple very small bits of cod and that's about it). However, I do look the location and ambiance of the restaurant and the staff are extremely attentive. Overall a pleasant experience but expensive for what you get. the food was great although the sweet breads had sold out. price and size portion right. Our first visit to Iberico where we enjoyed the Express Lunch menu. The food was excellent, very good value and well presented. The service overall was good although the waiter did seem to be in a hurry to clear plates & glasses away which weren't finished with. Overall an excellent restaurant choice and will definitely go back! The meal was absolutely perfect. My only tiny issue is that some of my chips were cold and definitely not as crispy as the last time I visited. The staff are very attentive and with atmosphere is buzzing. We love this place! Very popular on first visit tonight, but service good and attentive. We had cheese, fish, and vegetable dishes (non meat eaters). All excellent as was house champagne. Will be back. A lunchtime visit to celebrate our birthdays. Unlike last year it was very quiet but that didn't detract us from the quality of the food. Tapas of the highest quality! Great place; lovely food and brilliant service! Very good experience at Iberico! Great food at Iberico. Excellent place! Lovely meal at Iberico as ever! We thoroughly enjoyed ourselves at Iberico! Impeccable service as usual at Iberico! An excellent meal with service to match at Iberico. My wife's choice of restaurant. Was not particularly looking forward to the food but there is something on the menu for everyone. We will be going again soon! Lunch menu was a bit limited for choice on this occasion. Main courses were well cooked and delicious. Dessert was disappointing. However, the service was excellent as ever at Iberico. Iberico is unrivaled with its modern creative tapas. 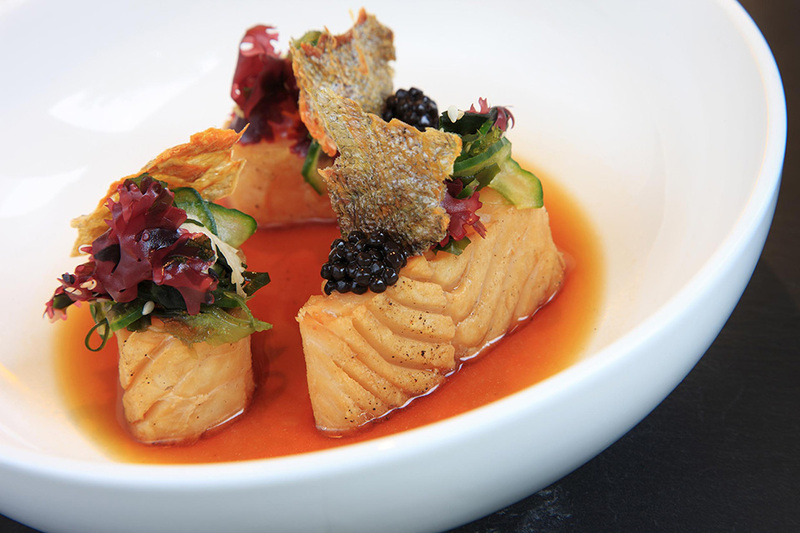 Not content with a winning formula, new dishes are always bursting tantalizingly from the menu. Wine list, service and restaurant décor ooze sophistication. Do book... this place gets busy! Excellent food as always at Iberico! We chose the Express menu which was more than enough for lunch. The food was delicious especially the Catalan bread and inside out chicken wings. Thoroughly enjoyed our experience. The food and service was really good, however, I did not like that you included the optional tip and the charity pound in the bill. I like to decide how much tip I want to leave and if I want to give money to charity or not. Excellent food and service every time. 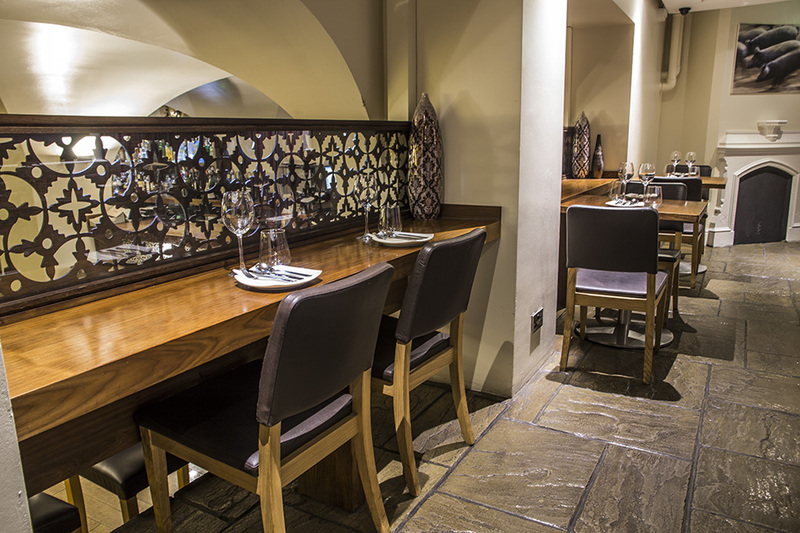 We have been coming to iberico for approx 5 years and dine once a month. Fabulous food as always. Very efficient and quick early evening dining. Courteous and polite staff. Would totally recommend and will be going back. My favourite restaurant in Nottingham, absolutely awesome. We have been to this restaurant several times before so the experience met our expectations by and large. There were very few diners so with this in mind the service was a little slow and the food didn't have quite the finesse that we enjoyed previously. However, it was all in all a very pleasant mealtime and we intend to return in the future. A lovely meal at Iberico with great service Don't be put off eating at the bar area I think it adds to the tapas effect! Warm welcome at Iberico, friendly staff, delicious food beautifully presented, good service. Would definitely recommend this restaurant and look forward to eating there again! It was a cold day and the end table was a bit draughty. Food excellent but it all arrived a bit too quickly. Sometimes the dishes come out a little too quickly and too close together at Iberico but the food is lovely! Disappointed we were put on the mezzanine floor when space was available in the main area. It just doesn't have an atmosphere up there. However, the food was fantastic again at Iberico! Service was a little hap-hazard! Had better nights, but can't complain about the food which is what you go for. Fantastic food and service at Iberico as always! Always great service at Iberico! Best tapas in Nottingham! Wine and food was good quality. Service was friendly and the right speed. Enjoyed the tapas experience. I require wheat free and the venue were very accommodating and knowledgeable. Would definitely go again. Relaxed fine dining with plenty of interesting flavours and a group of 6 ate and drank well for under 200 pounds. Best in Nottingham! Excellent as always at Iberico, only comment/request is for a few more choices. Fantastic food, excellent service. Personally a little noisy for our taste but would definitely recommend you to try it. Iberico never fails to disappoint! Truly delicious and inspirational dishes and charming service. Been to Iberico many times and it never ceases to amaze how good it is. Wonderful food, wonderful service, great selection of quality drinks and great ambiance. It's a 5 star experience for me and also my daughter who joined me last night. This is the ideal place for amazing food and great for a first date! This is the third time I have been to Iberico and every time the food has been of amazing quality, the atmosphere great, the staff are always very helpful and quick to take your order. This is definitely my favourite restaurant in Nottingham! Thoroughly enjoyed my birthday evening at Iberico and thought the food, service, ambience and decor were excellent! Really good food and very good service. Iberico is perfect. Cosy, intimate and unpretentious but very stylish. The staff are very attentive but not intrusive. The food is amazing (the black cod is to die for). The prices are spot on. And as someone who has a WSET Diploma, the wine list is excellent and appropriate for the food on offer - someone in there knows their stuff. Perfect. Really enjoyed the squid and fish cakes at Iberico! Another great meal at iberico. Great service also. The only let down was a group of 4 who where just shouting for the sake of it I think. Other than that 5* meal. First visit to Iberico with a friend of Spanish descent - so plenty needed to impress. Great food, we had mixed meat and cheese and several fish dishes. The mussels were wonderful and everything else was tasty too. Overall a nice treat - a bit pricey but worth it! As always food was superb at Iberico. Great service. Express menu good value for money. My husband and I booked a table at Iberico Tapas for a Thursday night celebration. It was a fantastic choice; it was probably the best, most creative meal I've had since moving to the UK from Toronto, and it was not at all overpriced. The service was very professional, and the location - the vaults under the Halls of Justice - was perfect for an intimate dinner. I'd especially recommend the beef with truffle sauce. The food was excellent at Iberico. Even the peppers ! Lunch menu was excellent value and good was delicious. We ended up staying and chatting long after everyone else had left, with no pressure from the staff to vacate the table. Staff were friendly and the food was delicious. Meal was fantastic, very nice selection of tapas to choose from, will definitely be returning. I treated my boyfriend to a meal here for his birthday and this had been one of 3 visits to Iberico, the whole experience was wonderful, the food incredibly delicious and the staff were extremely helpful and friendly. The service was very prompt and the quality of the food is one of the best tapas restaurants I've been to in the UK. The portions were great and you could taste the freshness of the ingredients used. I highly rate this restaurant, if you want a romantic ambience and an impeccable evening, I highly recommend Iberico it is definitely one of my favourite places in Nottingham to dine. An excellent place to go for our anniversary - we were very well looked after and the food was fantastic at Iberico! Iberico is always good value for money, the service is good and the atmosphere is comfortable would recommend a try if you like tapas. Great food, friendly staff, not cheap but good quality and nice atmosphere! It was our first visit to Iberico, we waited 40 minutes before asking someone to take our order but after complaining the staff ensured that we were happy. Food was amazing and we would return! Absolutely delicious meal at Iberico! Particularly liked the inside out chicken. Staff were attentive and pleasant. The express lunch menu for £12.95 is good value for money. We topped it up with a portion of paella and miso cod. Both were tasty however much less value for money at £12 & £16 for a single portion. I would recommend as a great place for tapas on the express menu. We enjoyed everything we ordered off the express menu. Visited here approx a year ago a thought how good the food was. Went 31st December, all dishes seemed very over priced for the small portions you received. The meat platter priced at £16 roughly is just some meat out of a packet placed on a chopping board!! No bread, apparently extra. We were really dissapointment! Over £100 for two people will not be returning. The food wasn't mind blowing either! Every dish was luke warm or cooler. Excellent as always the small tapas portions allow for really tasty combinations. All the staff really attentive and well informed. Not cheap but you get what you pay for. We'll be back to Iberico. Love their food so much! Will definitely go again! Lovely meal at Iberico in a lovely relaxed intimate setting. The food at Iberico was absolutely spot on! Quite expensive for me but great as an occasional treat. Would definitely recommend! It was a little hard to find the entrance to Iberico, (sign only put out once opened and we were early for 12pm table). Staff very friendly and helpful, food (lunch time fixed price offer) was adequate and had reasonable choice, Wines were "mid-price" range typical of restaurant prices. Ambiance was as expected with the undercroft vaulted ceiling. might be low for tall patrons but fine for me at 5'4". Value for Money? yes based on two eating and three glasses of wine our bill was £27 each. Food seemed salty and minimal choice on the express menu. Service was excellent. £3.75 for a bottle of water seemed steep. However I would go again. Stunning food in a gorgeous relaxed surrounding. Quality tapas the likes of which I have never tasted before. Iberico is such a fantastic place. Cosy. Intimate. Outstanding food. Outstanding service. An amazing place for lunch. It can't be faulted and the seasonal spiced crème brulé is to die for. This was my third time visiting Iberico World Tapas and it didn't fail to impress, the food was incredible... In particular the inside out chicken wings (amazing) and the lamb was the best lamb I've ever had. We only managed to get a seat at the bar so I was a little unsure but it was absolutely fine as the bar is really deep so loads of room for the food! Not a problem at all. I will definitely visit again... soon hopefully! Another amazing meal at Iberico - Thank you! Wonderful meal at Iberico! The staff were very attentive without being overbearing. The food was simply outstanding, the best tapas I have ever had! Really attentive service who were well informed about the menu. The food at Iberico was brilliant and there was a really good atmosphere in the restaurant. 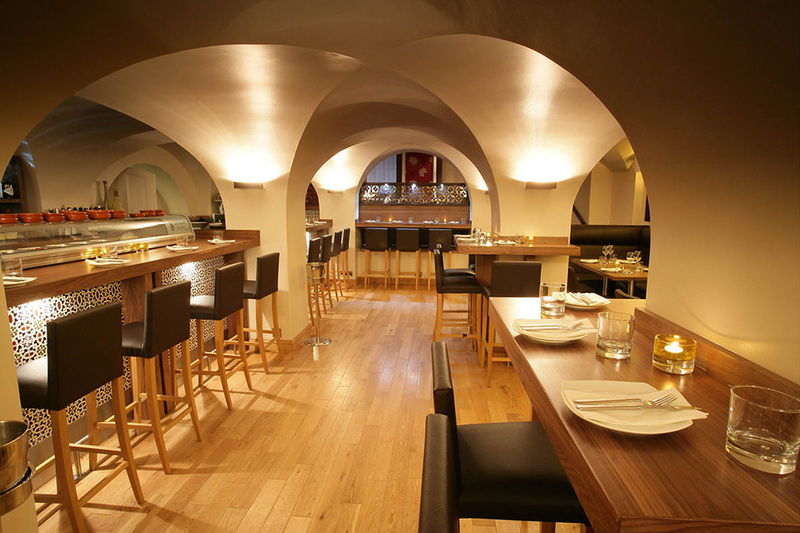 Iberico remains one of the top places to eat in Nottingham, particularly if you are looking for something different. The world tapas is great and the service stunning. 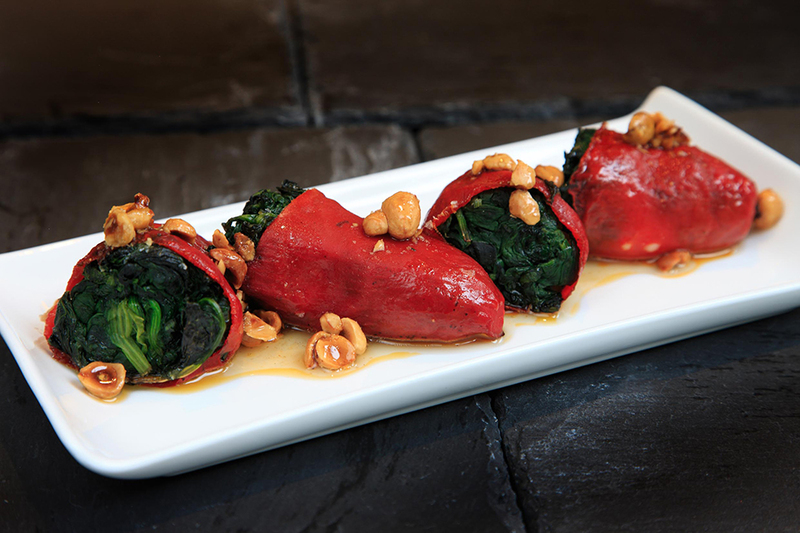 Iberico Tapas is a hidden gem set beneath the galleries of justice. The service there is second to none as all the staff take to time to welcome, talk about the food and make sure that every whim is catered for. They are so warm and friendly - as is the general ambiance. The food, it has to be said, is delicious - so many exquisite tastes. The only downside is that I wanted more and wished that the portions were double the size! We had a great meal with a good atmosphere. I would recommend Iberico World Tapas Nottingham to anyone. The salt and pepper squid was a highlight. What has happened to Iberico?! The majority of the food that I ate last night (oddly-cured mackerel, bizarrely-flavoured sweetcorn flat bread, over-salted patatas bravas, lamb belly that was ALL fat!) bordered on inedible. How the mighty have fallen. Warmly welcomed and attentively served at lunchtime by excellent staff. Even encouraged to swap menus to save money! Food well-presented and tasty. We will be returning. Express Lunch; sadly only available on weekdays. Excellent food, excellent service and great atmosphere at Iberico Tapas. Excellent service and delicious food. Great value lunch and early dinner menu. Will return to Iberico. An a'la carte take on traditional tapas - I love this restaurant. If you don't understand good food you might not get the prices, but you get what you pay for - delicious tapas. If you want quantity or cheaper then La Tasca is probably more for you but if you want to impress or be impressed then try Iberico. Lovely food, and great surroundings! Slightly disappointed due to being sat on the mezzanine level away from the heart of the restaurant, lacking atmosphere. Especially as we had booked 6 weeks in advance. This was not helped by the waiting staff stood nearby gossiping. However, the food was delicious as always. Everybody raves about this place and the food was very good, but the tapas portions were pretty big even for sharing and we could only do at most 4-5 dishes between 2 of us. I would have preferred smaller, cheaper plates so that you could try more dishes, it is a tapas restaurant after all. Very tasty food and good service. We didn't sit in the main restaurant so it was a very quiet and charming meal. A little more expensive than other tapas places, especially for wine but over all a great meal and would recommend it to others. Excellent food and service-will definitely go again. My only niggle with this visit was that we misunderstood the chorizo dish on the express menu. Not a traditional chorizo sausage. Otherwise excellent. Loved the cornish baked mussels. Usual great atmosphere and helpful service, but the food was very disappointing compared to the usual very high standards; nasty texture to the gloopy ox cheek and parsnip mash; very acidic sauce for the belly pork croquettes, fairly tasteless and oddly conceptualised noodle paella. Lovely lunch with my sister at Iberico Tapas. Excellent service - we shared 3 set lunches between two as we wanted some more of their excellent chicken wings (my favourite), which I didn't think would be possible - but was so worth noting if you have time and are still hungry. A great house Champagne too. I have to Iberico World Tapas twice, once for a Friday lunch, soon after the restaurant opened, and recently early evening on a Nottingham Food and Drink Fortnight offer. The food was excellent, the portions are quite filling - it's easy to order more than you need as it's Tapas (but I'm not a big eater). The thing I didn't like was that we had the table for a limited time (which we understood) but were still directly pressurised into making our order - this made me feel like a second rate customer (which we probably were as we were using an offer). Disappointing, considering I have absolutely never been made to feel like this at World Service, no matter how busy they were - where I've been several times both on offers and paying full price. Some dishes less successful than others, but very reasonably priced meal at Iberico Tapas. Delicious food, great value, but had to chase up desserts after they were ordered. As usual, a brilliant meal at Iberico World Tapas in Nottingham. Can't fault it at all! We had a pram so sat at the very entrance. The restaurant just didn't feel very easy to navigate with a pram. The food was good, some dishes very good but there wasn't consistency. The staff were great and made us feel very welcome though. I am a very slow eater and I know we had eaten the food on some of the platters but the waitress came to take them away despite me still eating. Food was well cooked. The venison plate was especially flavoursome. Enjoyable wine. Service to the level we needed. Not to little or too much. Thanks for booking us our table on such short notice Go dine! Excellent meal. We went for the early doors menu and were not disappointed. Lovely early evening meal with great atmosphere as the place was really busy. Didn't feel rushed in any way though. Desert was especially great. Brilliant value. Fantastic restuarant, brilliant food, the setting was tremendous, service was excellent, will be visiting again for sure. A little pricey but don;t mind paying for quality. I booked very last minute with (and was slotted in within an hour of my booking time), which was fine as I have wanted to go to this restaurant for a long time. It didn't fail to disappoint. The vaulted ceilings took me back to corporate events in the Royal Banqueting House at St James's Place London. Small, intimate and the staff were brilliant. The food was delicious. We opted for the Spanish meat board, and the cheese board (we were a little disappointed with the size of the cheese board) - thin slivers of cheese, but the flavours were great. We then chose the Lime Squid, the Lamb fillet, the paella, the Gambas and my favourite - the inside out chicken wings. All a delight in the mouth and beautifully presented (our Lamb and Paella were a little delayed but it allowed us to eat all of the dishes hot). The only downside to our meal was the most obnoxious male sat adjacent to us. Why it possesses some people to inflict their raised voices on fellow diners, I do not know. Slightly pricey if you want to try a variety of things but aside from that a fantastic wine menu and the service was good. Standard of food is excellent. Went for the early evening deal, which was unbelievably good value and there's no compromise in the standard of the food. Always a lovely atmosphere in there. Cannot complain at all. Happy! Took my partner to Iberico as a treat for his birthday. Welcomed really warmly when we arrived, coats and bags were taken and shown straight to our table. Even on a Wednesday night the restaurant and bar was fully booked - hence the need to turn tables every couple of hours - but we had plenty of time to eat at a really relaxed pace and just enjoy the food and the atmosphere. The menu had just been changed the day we arrived so had the chance to try lots of new dishes! Can highly recommend the Catalan bread, venison albondigas and the fisherman's paella though everything we ate was absolutely delicious - no wonder they were awarded a Bib Gourmand! Didn't visit the toilets so can't rate those but overall an exception experience and can't wait to visit again! Good recommendations from staff. Although after spending nearly £50/person I thought it was a bit of a cheek asking for the table to be vacated after 2 hours whilst we were still eating. I brought a number of international colleagues with me on this occasion and everyone loved the restaurant. The food was possibly the best it has ever been and there was a buzz about the atmosphere, despite it being mid-week. This place never disappoints! The food was great as usual, but the out of the way table we were sat at, meant we felt a little dis-jointed from the rest of rest of the restaurant. Tucked away location but what a gem, fabulous food capturing all the senses. Look forward to our next visit! The lunch menu at Iberico represents excellent value for money. Portion sizes are good, the quality of the food is consistently high, staff are friendly and well-informed. The whole experience was very enjoyable I would definately recommend. Enjoyable - great food but tables were a little too close together! Went for the fixed price lunch menu - all superb, great value. Great food, but the slow service held it back a bit. Wines overpriced. Went for the 11.95 express lunch offer. Food good and the service was also good. The sign outside for the restaurant is very small so we walked past it twice! Will go again. Great food, chorizo was the best, not so keen on the mushrooms that had too much oil in them. Little small to get ambience and toilets tiny. Great concept though! My husband and I booked a meal here on a Saturday night. The restaurant has a good atmosphere and a lovely contemporary style. We ordered a selection of tapas which were delicious. The staff were very friendly and the service was excellent with very prompt arrival of our dishes. We had a lovely meal there and would highly recommend it to others. Was out to impress and we had a fantastic time and it needed to be after some of the disasters of the weekend. Only a table of 2 but sat in the booth and made to feel very welcome. Food came out in usual staggered order. I can't believe the quality of food for the price! After a couple of very nice glasses of house red, great tapas and a truly superb panacotta we both left with a huge smile on our face! We booked a party of 8, so were requested to make advance choices from a £25 set menu. The whole group felt this was exceptional value for money, and we all thoroughly enjoyed our meal. The chef was kind enough to cook our paella without mussels to cater for an allergy. Great food as always - particularly enjoyed the black cod and the lamb. We'll definitely be back. Really lovely restaurant. Loved the food and excellent service, will definitely return. Food was fantastic, service was great and the actual restaurant itself is beautiful, if I had to pick fault in something its that its quite expensive. Overall though great meal. Will be going again. A very pleasant lunch, knowing I was at a very well known and quality restaurant for a very reasonabll price. The food was amazing and staff were very good, all a very good experience which i cant wait to do again! Great food and service i just think its a little overpriced but still a great experience and great wine! We will definitely be back again. Great food and attentive service. Will definately return again! Good food, slightly lacking service. Amazing food but a little on the pricey side. Well worth it though. Loved every minute of the Iberico experience. Will be back. Superb food as always! Despite it being a busy lunchtime, the service was also quick and attentive. First class food puts the other spanish tapas place in Nottingham to shame! Service was very good, food came promptly but you never felt rushed. I would recommend the Monkfish Carpaccio as it was stunning. Definately a place on the list to go to again. The choice and quality of the food was, as always, superb! It was my guests' first time at Iberico and they were also very impressed. The only negative, was that despite the restaurant not being full, the service was a little slow. It was pretty quite, and I guess I would have preferred a terrace with livelier ambience. But I must say, the service was excellent and food was good. I had the set lunch where the portions were bigger than average I'll say. Overall a very good Lunch, if a little pricey. 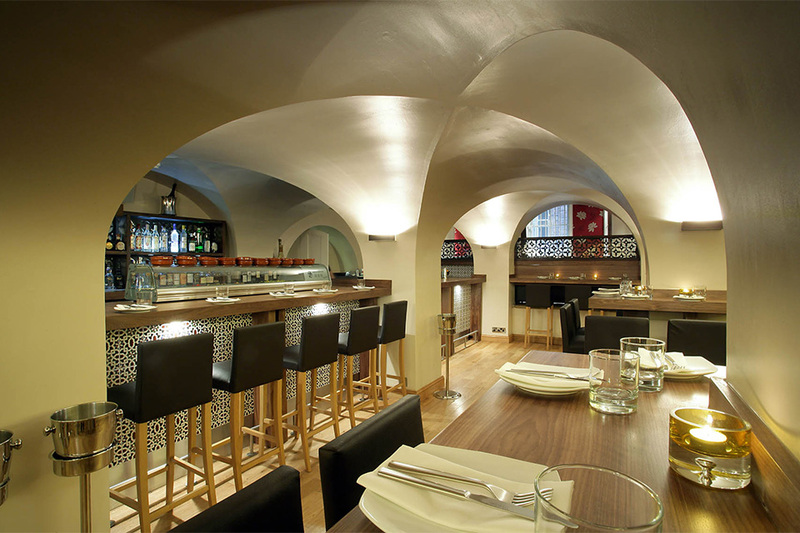 Would go back, especially for a midweek lunch as the £10 tapas deal looks good value. We went for the £10 lunch and were absolutely blown away by how yummy the food was. For the price you get to try some really interesting and unique food with excellent ingredients. Iberico Tapas is now in my top few restaurants in Nottingham! A great setting for a lovely meal. We used the £10.00 lunch offer which gave us a wide range of dishes to choose from and was great value. The service was excellent even though the restaurant became very busy. Will certainly be going back. Excellent all round. Definitely would go again. Fantastic food and service. Every dish was superbly cooked and elegantly presented and the waitresses were amongst the friendliest and most helpful I've ever encountered. Without doubt the best food and dining experience I've ever had in Nottingham. This was the best meal I have ever had in Nottingham bar none. My girlfriend now wants to go every week so good job it was great value.... AMAZING. Very nice food i would say. This is maybe my favourite restaurant. I love the atmosphere its relaxed but 'special', the foods great and its pretty good value. A great little restaurant, felt very personal. the food was divine too! overall a brilliant experience, i would definitely recommend it! Always have a great night here and actually thought the food was even better than it had been previously. Two of us with a quite expensive bottle of wine came to £80 which I thought was very reasonable considering the quality of the food. What a great hidden place. The food was lovely, but as it's tapas it arrived at different times which was a new concept for me. The service was great and the company wasn't bad either! Definately a great find and well worth a try. 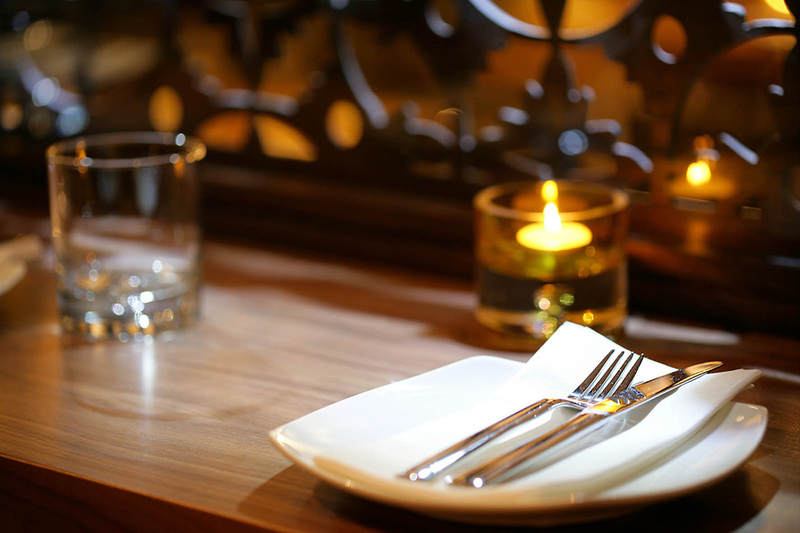 Award-winning tapas in the heart of Nottingham’s historic Lace Market. Since opening in 2007, Iberico World Tapas has enjoyed local notoriety as the winner of multiple awards including the coveted “Bib Gourmand” award from The Michelin Guide as well as a spot on SquareMeal’s 2017 Top 100 UK restaurant list. Bringing together the simplicity of Spanish tapas and most refined ingredients from around the globe, the dishes at Iberico World Tapas are executed to perfection, effortlessly combining the traditional with the contemporary. Don’t miss the signature grilled Iberico pork accompanied with a quince relish that creates a balance of sweetness and richness in the dish, or unique numbers such as the spicy miso black cod. Satiny in texture having been marinated for 72 hours, this dish has a silky, well-seasoned richness that renders it utterly irresistible. Hidden away beneath Nottingham’s iconic National Justice Museum, this fine-dining spot’s Grade II listed home promises a uniquely relaxed underground atmosphere complete with vaulted dining room and dusky tones of chocolate and cream. To experiment with the finest global cuisine in a setting oozing with class, book a table at Iberico World Tapas today. We require a credit/debit card number to secure your booking. These details are kept on file on our secure booking system. Please be advised that if you were to cancel the table within 24 hours or drastically decrease in numbers within 24 hours of the reservation then we would collect £10 per cover lost. We will always endeavour to re-sell tables and would not penalise you if we manage to do so, no matter how short the notice. Paleta Ibérico de Bellota Reserva D.O. Cooked in goose fat. Vegetarian option available. Aromas of intense red fruits with hints of cinnamon, chocolate and anise. Medium bodied.